Featuring the perfect pair for dazzling holiday nails and lips in coordinating OPI Muppets Nail Lacquer Meep-Meep-Meep Meep and 2-in-1 Lip Gloss! Meep Meep Meep is a part of Muppet collection. It's a gorgeous fuchsia red with gold glass flecks. This nail lacquer comes with a unique formula. 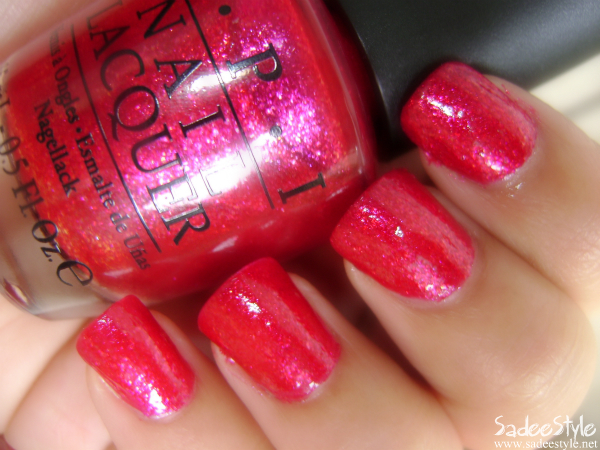 It's a kind of glittery nail polish, but glitters are not big and chunky. It's my second favorite nail lacquer in muppet collection, my favourite color in Muppet collection is wacka wacka (Review soon). 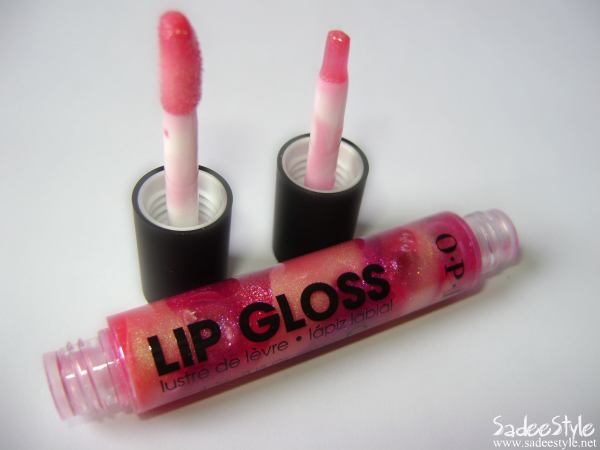 However, this Dynamic Duo also comes with a swirly double-sided lip gloss, in first glace it looks just like a candy cane and it has two shades red and the golden. The formula of nail lacquer is a bit thick and leaves streaks on the nails. It has the gorgeous shimmer in it, but it makes the nail surface little rough so I probably layered a Rapiddry TopCoat by Opi (Review here) and it's just left a glossy finish on the nails. 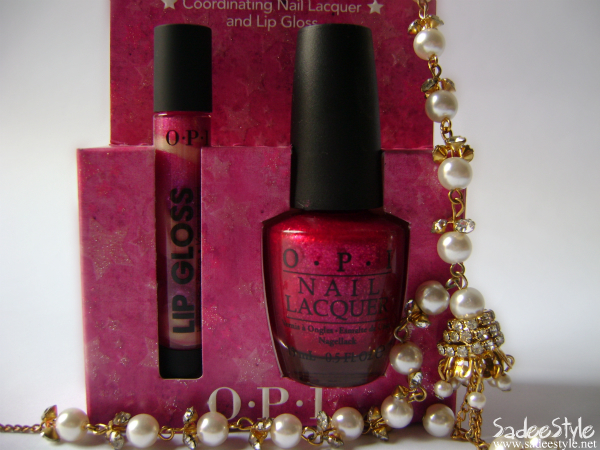 Although it is a beautiful, shimmery, rich raspberry color and suits my skin perfectly and it's a pretty opaque with two coats. Overall, this nail polish is unique, a great addition to my collection and did not disappoint! Lasted longer than most glitters do. Glitter is not chunky, but dries very rough. Texture of polish is a bit thick and leaves streaks on nail. It looks good and stay for a long time. 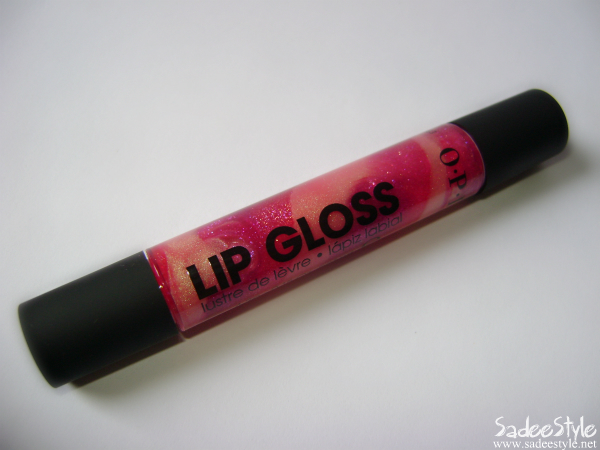 Texture of lip gloss is very thick. Wand of gloss is way to small to apply the gloss properly. Very nice set. Meep Meep looks really pretty! Just LOVE the nail paint! Yumm. oooh! I'm on an OPI diet but you have me craving this color now lol gorgeous!